The most convenient pass that you can have! But to make things simpler, they even have an app to help you navigate and plan for your trip anywhere in Switzerland. It’s called “SBB Mobile”. Must have pass and must have app if you’re in Switzerland! 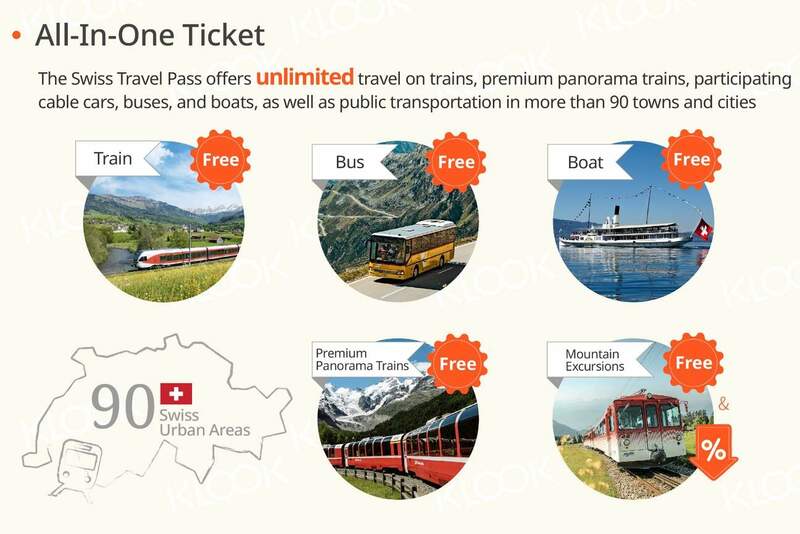 Enjoy the freedom to travel all over Switzerland with the Swiss Travel Pass (Flexible), which gives you access to unlimited rides on trains, boats, buses, and premium panorama trains across the country! No need to worry about purchasing tickets one by one - simply make your booking on the Klook website/app, then select the date you want to receive your pass via courier. Once activated, your pass is good for one month, valid on any 3, 4, 8, or 15 non-consecutive days of your choice. 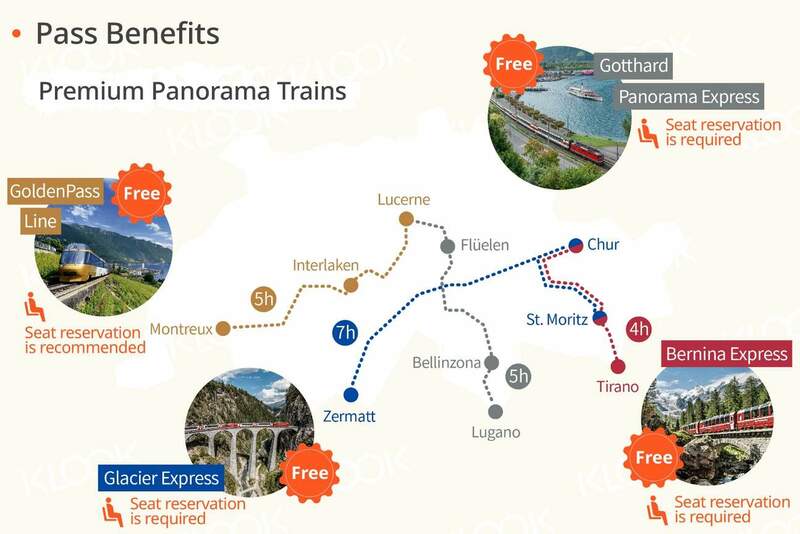 Aside from unlimited travels on the Swiss Travel System network, you'll also get a bunch of other awesome perks such as a 50% discount on most mountain railways and cable cars on your selected days, as well as eligibility for special passholder fares on TGV Lyria. The best part? 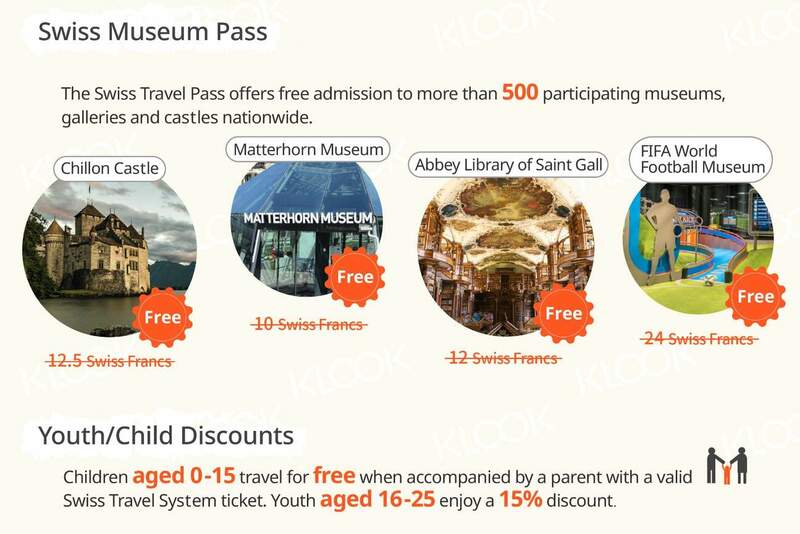 You'll also get to enter more than 500 different museums and exhibits for free by presenting your Swiss Travel Pass (Flexible)! The most convenient pass that you can have! But to make things simpler, they even have an app to help you navigate and plan for your trip anywhere in Switzerland. It’s called “SBB Mobile”. Must have pass and must have app if you’re in Switzerland! The most convenient pass that you can have! But to make things simpler, they even have an app to help you navigate and plan for your trip anywhere in Switzerland. It’s called “SBB Mobile”. Must have pass and must have app if you’re in Switzerland! Extremely convenient to buy it through klook, which delivered the ticket within 3 working days. Saved the time to queue at the airport train station to collect. Instructions were also clear and we had no problems using it. Extremely convenient to buy it through klook, which delivered the ticket within 3 working days. Saved the time to queue at the airport train station to collect. Instructions were also clear and we had no problems using it. This was the best if you want to go around Switzerland which is a very beautiful country. Buying the swiss travel pass is worth it because the trains are good and you get a very good view of the country. It also saves you a lot of time from buying the ticket because there’s always a queue in the ticketing office. This was the best if you want to go around Switzerland which is a very beautiful country. Buying the swiss travel pass is worth it because the trains are good and you get a very good view of the country. It also saves you a lot of time from buying the ticket because there’s always a queue in the ticketing office. Fast delivery! Passes came with the free gifts as promised. easy to use. just need to fill up the passport, date and sign when arrive. Passes give us discount to many activities too! Fast delivery! Passes came with the free gifts as promised. easy to use. just need to fill up the passport, date and sign when arrive. Passes give us discount to many activities too! 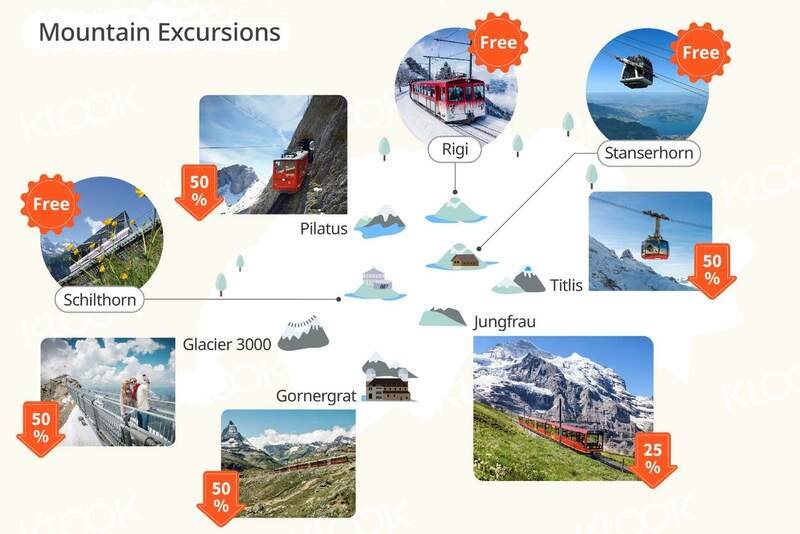 There are many ways to buy Swiss Travel Pass. But KLOOK is the best way to buy. 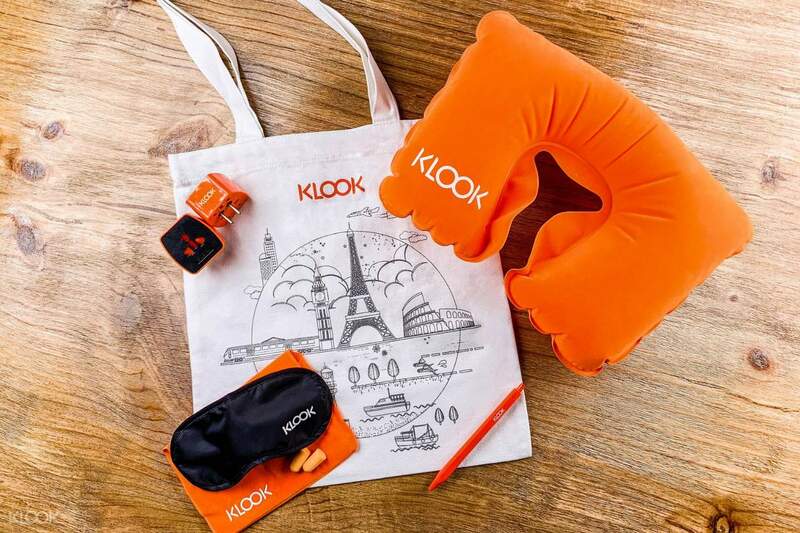 KLOOK offers free delivery to your home while others charge a delivery fee that could be up to $80. There are many ways to buy Swiss Travel Pass. But KLOOK is the best way to buy. KLOOK offers free delivery to your home while others charge a delivery fee that could be up to $80. The Swiss Travel Pass arrived very soon after I ordered it. The Klook team was also very helpful in answering my queries! The Swiss Travel Pass arrived very soon after I ordered it. The Klook team was also very helpful in answering my queries! Fast delivery and hassle free usage. Just fill in the date of travel and show the ticket to train conductor. Fast delivery and hassle free usage. Just fill in the date of travel and show the ticket to train conductor. Can save alot for the transportation in Switzerland! Can save alot for the transportation in Switzerland! I am very satisfied with ticket. And it’s easy to make reservation. I am very satisfied with ticket. And it’s easy to make reservation.